Sign Central’s Flying Banners are the most eye catching way to get noticed. 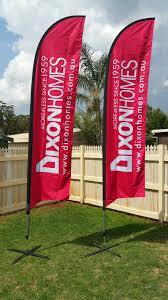 Feather banners and teardrop banners make the greatest impact on clients and any audience. 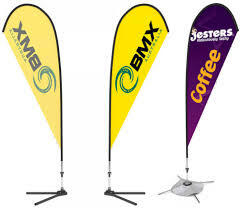 Full color flying banners make it easy to design any layout. 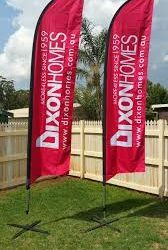 Feather banner and teardrop banners are all full color so the sky is the limit when it comes to your design. You cannot go wrong with feather banner and teardrop banners, SAY IT IN THE AIR! Teardrops: 6.75′ Tall, 8.6′ Tall, 12.6″ tall and 14.5′ Tall Feather Banners: 8′ Tall, 12′ tall, 14.5″ tall and 18′ tall. You can order these amazing flying banner signs online at our online sign store.